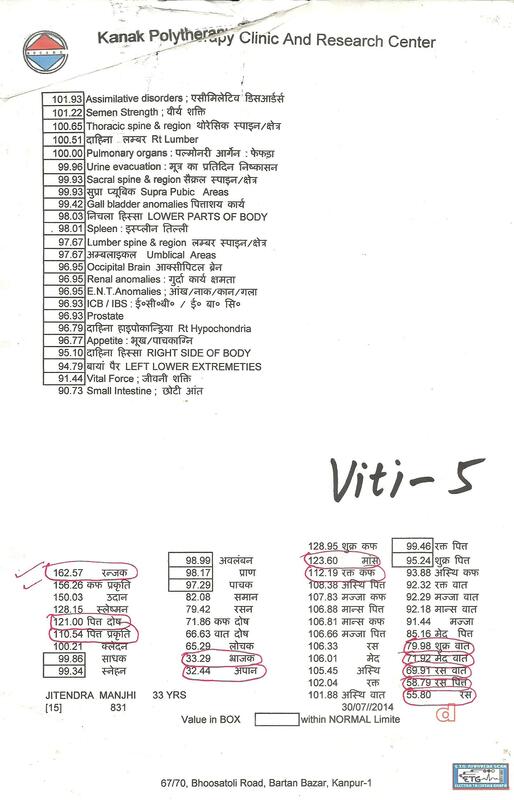 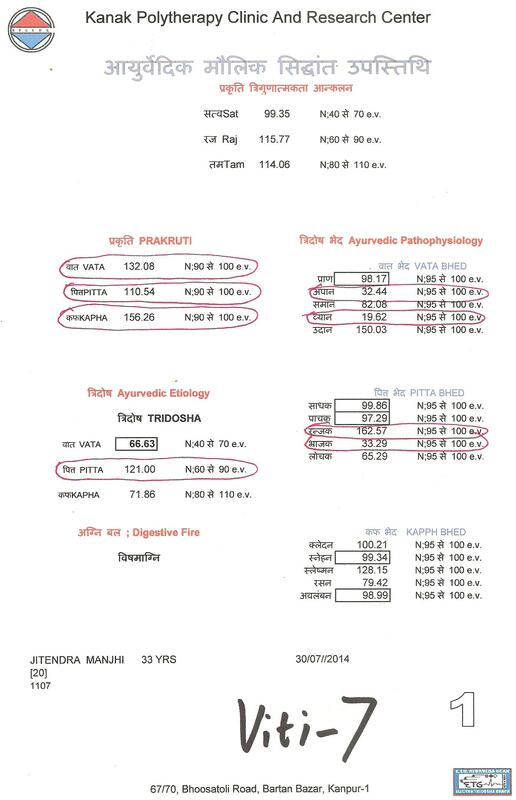 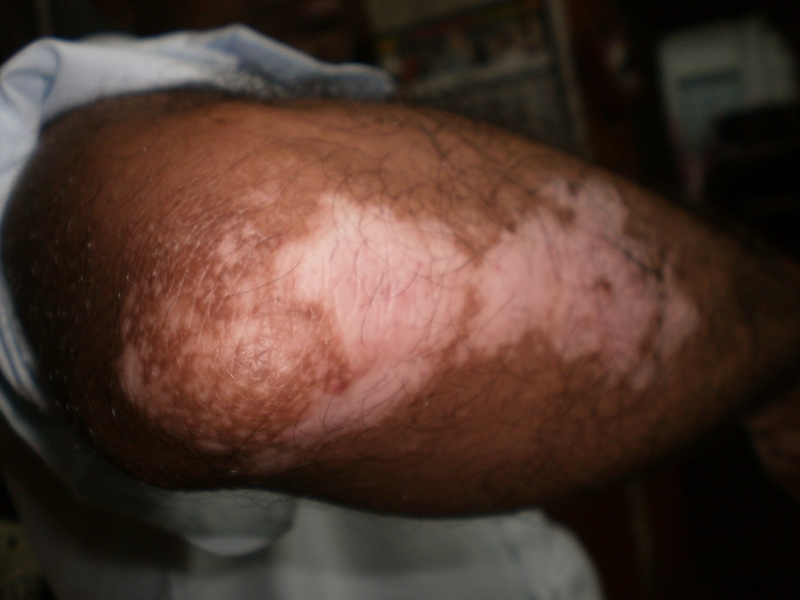 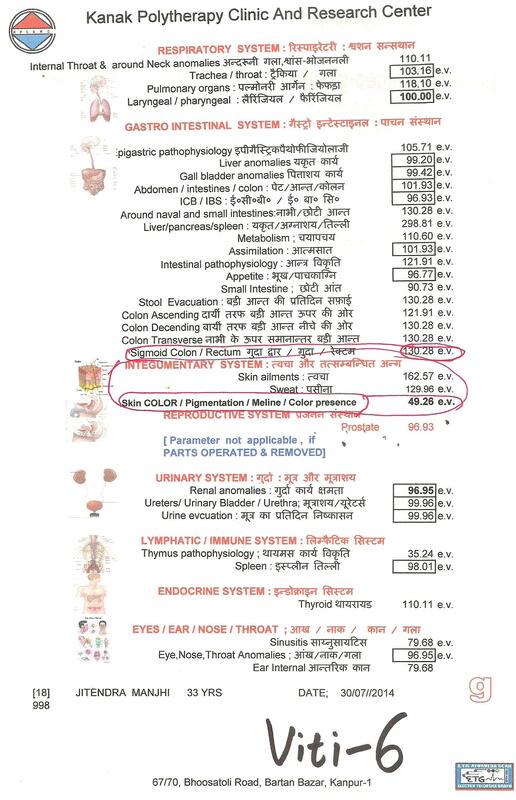 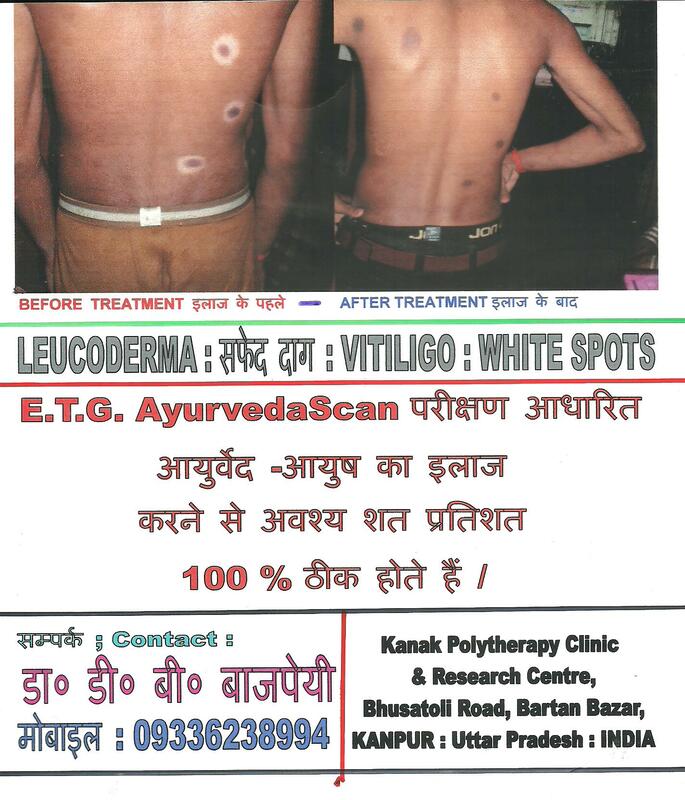 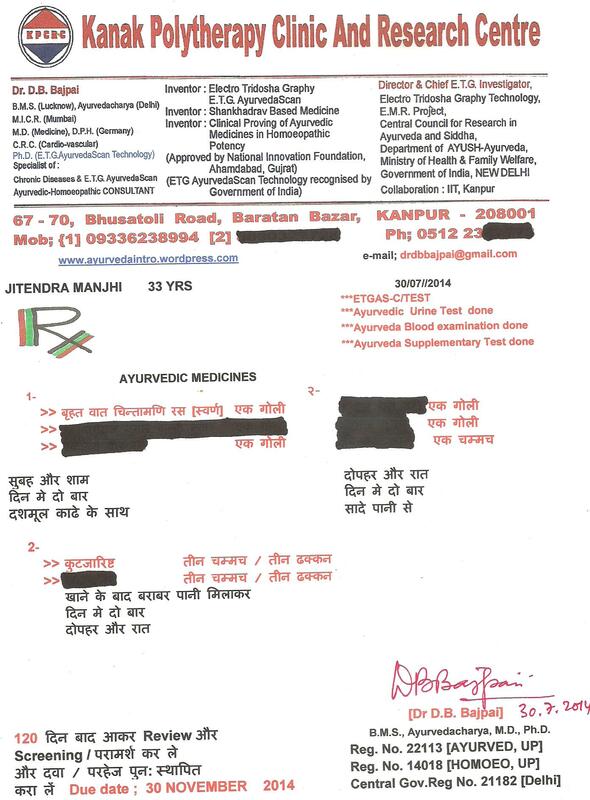 LEUCODERMA is 100 % curable, if treated by AYURVEDA -AYUSH HIGH SPECIALITY DIAGNOSIS PROCEDURE , basing on the findings of the ETG AyurvedaScan technology including AYURVEDA BLOOD EXAMINATION , which is about 50 in numbers and AYURVEDA URINE EXAMINATION , which is also about 50 in numbers and AYURVEDA THERMAL SCANNING. 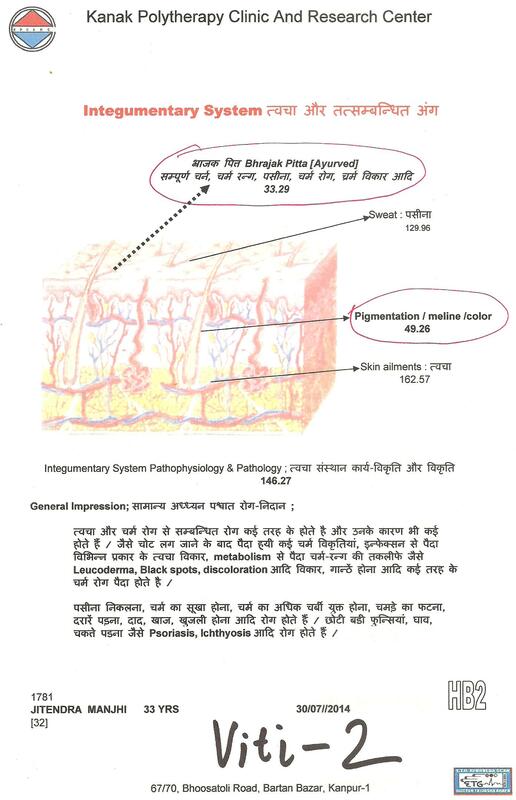 The COMBINED AYURVEDA Diagnosis proviudes correct diagnosis in THREE DIMENSIONS. 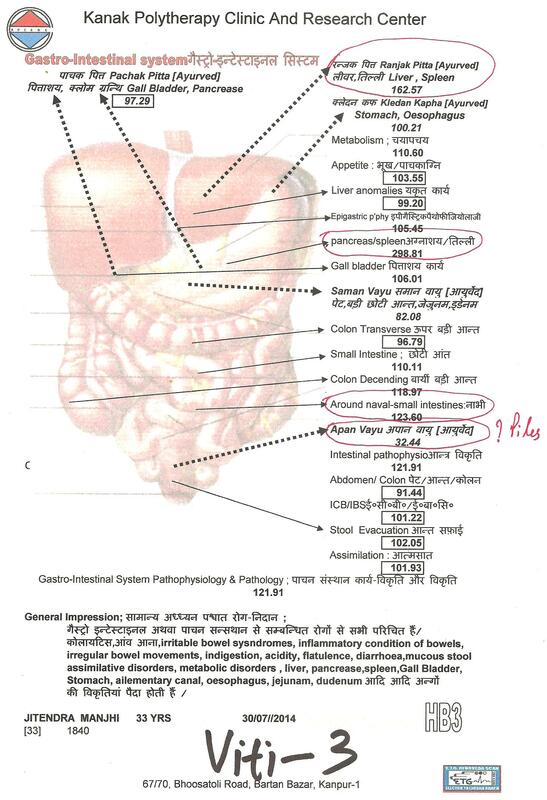 The First Dimension is to find and establish the ROOT PROBLEM OF THE BODY ORGANS OR PARTS, from where the problem is GENERATING. 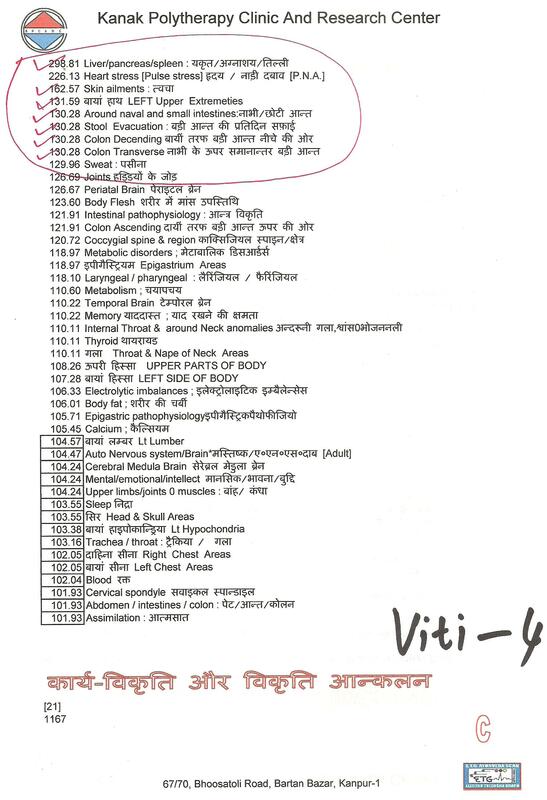 The Third Dimension is the FINAL APPEARANCE of the problem REFELECTION. 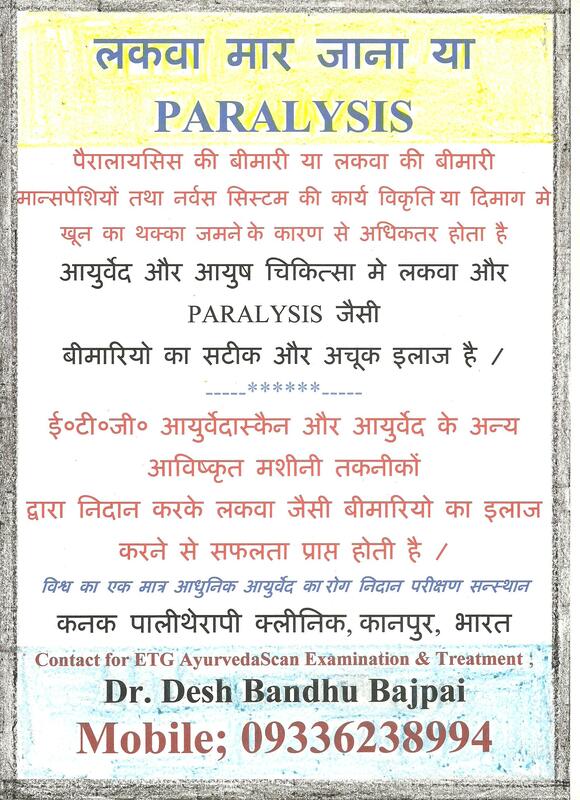 When these three dimnesions are diagnosed, AYURVEDIC TREATMENT becomes fool-proof and is result oriented. 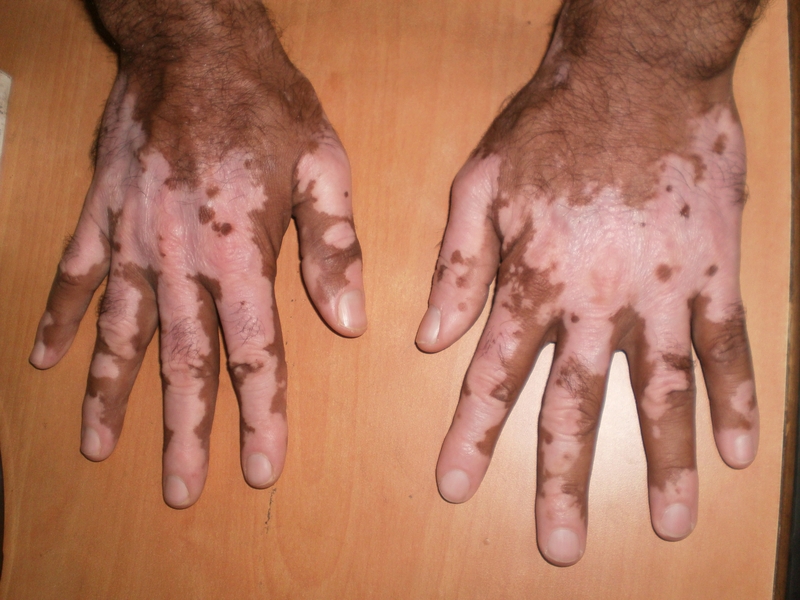 We have treated successfully LEUCODERMA PATIENT in this way with best results, which we have already years and years experienced. 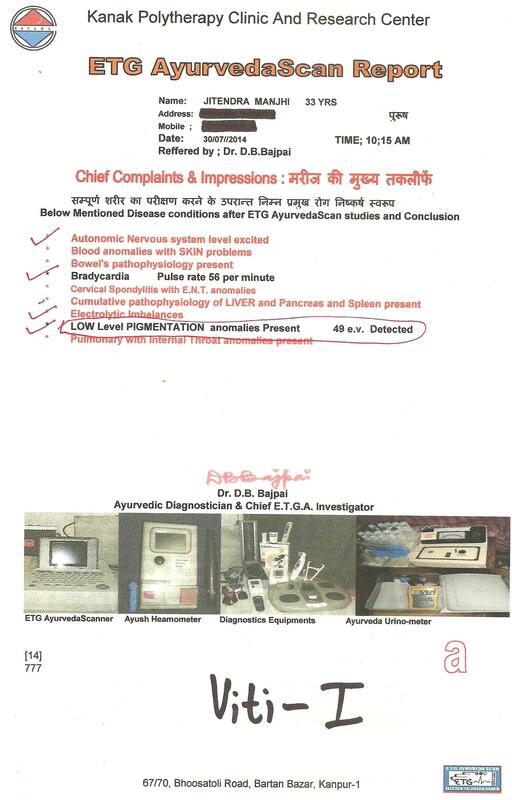 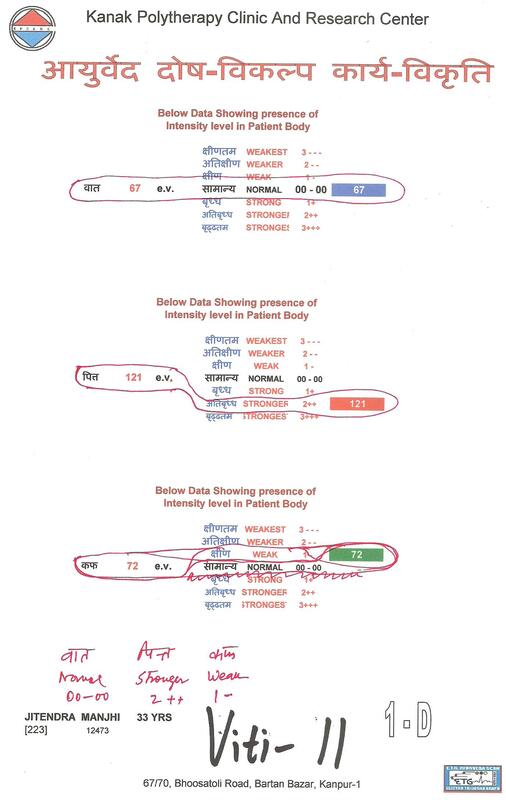 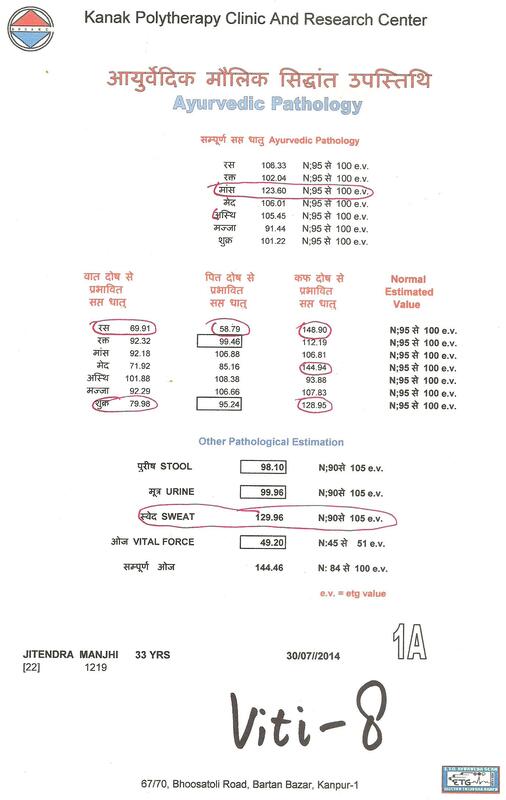 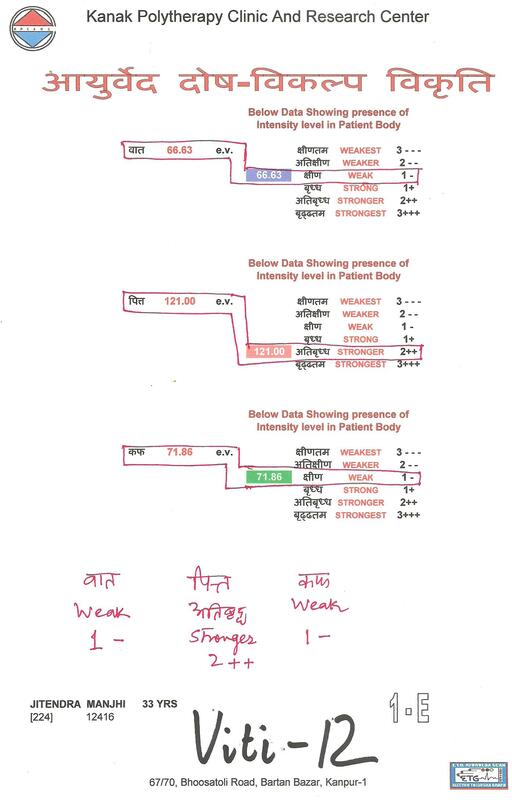 LEUCODERMA PATIENT is being examined by ELECTRO-TRIDOSHA GRAPH : E.T.G. 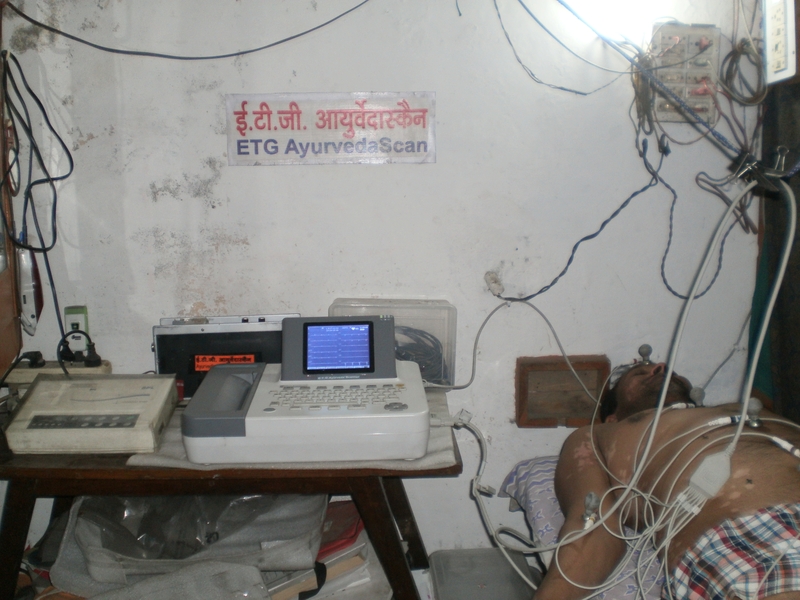 AyurvedaScan Scanner procedure.